Senior Journalist Arnab Goswami will soon start his new channel named as Republic and Arnab himself announced this latest news. Earlier he worked as a chief editor in Times Now channel and recently he had resigned for that job. Rahul Shivshankar has taken charge as Chief in Editor in place of Arnab. According to the Latest updates, Arnab Goswami new channel Republic will start airing before the much awaited Uttar Pradesh elections in the first part of 2017. Goswami became most familiar with his daily debate show “The News Hour” which has brought more than 60 percent revenue for the news channel and got a huge viewer base across the country. He also played an essential role in the program “Frankly Speaking” which includes interviews with politicians, sports persons, and celebrities. Because of the Goswami’s Primetime presence, the channel Times Now has been able to sideline a lot of the older players in the English, new space. This big success had led to Arnab being promoted as President, News of Times Now. He contributed his services to Times Now for ten years and finally he was out from the familiar channel. Goswami started his career at the Telegraph in Kolkata. Due to his talent and hard work he earned a job at NDTV in 1995. He was one of the most noticeable faces along with Vikram Chandra and Rajdeep Sardesai. In 2006, Arnab joined in Times Now as Editor in Chief and emerged as one of the best journalists in India. However, now he decided enter into his own venture and we hope he may get huge success with this future project. 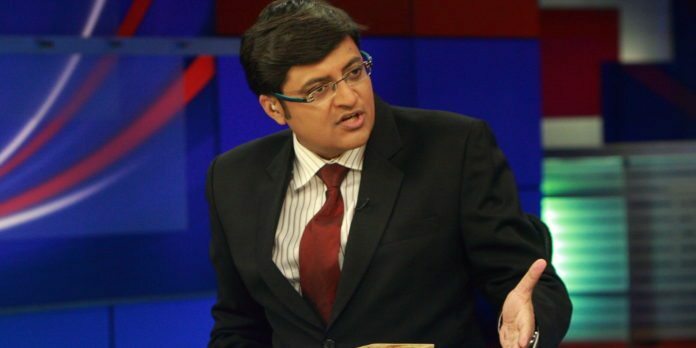 #BREAKING: Arnab Goswami's Next Venture To Be Called #Republic. He Is Working On His Team And Programming. Eagerly Waiting For Him.